By setting the number of Threads. By setting the number of test iterations. Stop Thread to stop the current Thread. Stop Test completely, in case you want to inspect the error before continue running. Number of Threads: Simulates the number of user(s) or connection(s) to your server application. 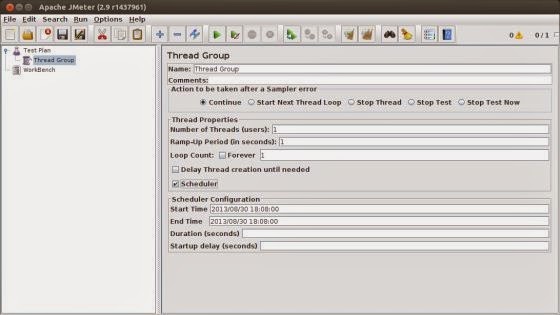 Ramp-Up Period: Defines how long it will take JMeter to get all threads running. Loop Count: Defines the number of times to execute the test. Scheduler checkbox Once selected, the Scheduler Configuration section will appear at the bottom of the control panel. Scheduler Configuration You can configure the start and end time of running the test. 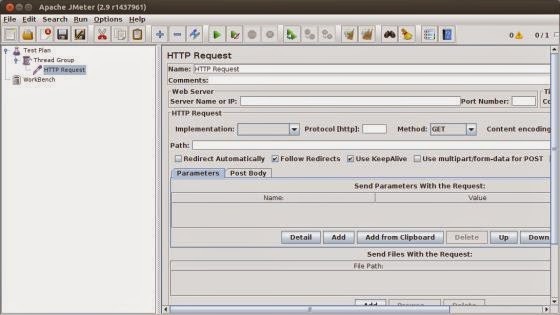 JMeter has two types of Controllers: Samplers and Logic Controllers.